The Breton Law Group is a law firm dedicated to providing their clients with excellent service, trusted advice and sound direction. Their lawyers are an experienced and skilled group of advisors. Some of Sydney’s most accomplished lawyers have merged together to form a powerful team. 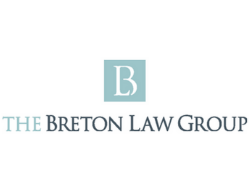 The Breton Law Group is pleased to offer their clients a full range of legal services. The Breton Law Group offers personal services to their clients in the areas of real estate transactions, estate planning and family law. They also offer a considerable range of business services including strategic advice, corporate structures and commercial transactions, tax planning, labour and employment advice. The Breton Law Group has experienced litigators and mediators available to assist you. Their firm is supported by an experienced and responsive staff. The Breton Law Group employs clerical and administrative staff as well as a full complement of property, corporate and litigation paralegal support. This support enables them to offer their clients timely and trusted advice in a cost effective manner. They invite you to come in and talk to them for a complete profile of their team and services. The Breton Law Group look forward to working with you.